Being in the field can bring up many emotions. Sure, there are the times when you are elated by a breathtaking view on a remote island that very few people get to visit. However, there are also lonely, boring, and frustrating aspects of fieldwork. If you think about it, you are away from home, usually out of your comfort zone, and more often than not doing very repetitive things.So sometimes, when you’re in the field, you need to look for ways to keep smiling! When I shared this post with my fellow co-bloggers, Amanda pointed out she wrote a similar post about how to stay sane when you think you are going crazy. It just goes to show how important it is to stay positive when you’re out there doing all types of fieldwork. 1. Sing – Nothing like belting your heart out alongside the dawn chorus as you peer over a cliff (which actually helps the acoustics a lot!). Let’s not forget the famous field vehicles that have their share of karaoke stars. 2. Dance – Whether you’re practicing your signature move or making up a new sequence, it’s always beneficial to shake off those frustrations. 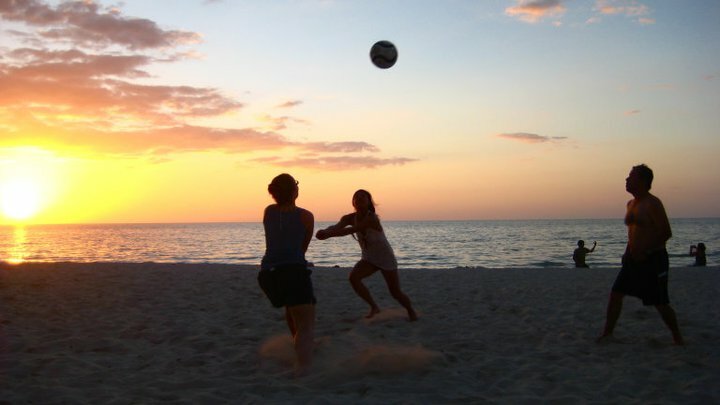 A little beach volleyball to pass the time. 3. Do something active – Although you are probably exhausted from climbing over and squeezing under fallen trees all day, sometimes it is good to do something different. If you’re looking to stretch and relax, yoga can be a good way to boost your mood. Check out the new hashtag #ScientistsWhoYoga on Twitter for some pretty amazing shots. 4. Make up stories for organisms, sites, and/or co-workers (nice things only of course) – Creating your own narrative for your surroundings can make the time tick by a little bit faster by introducing suspense and excitement. 5. Make it a competition – Similar to how people often keep kids busy, you can ask “Who can find the most bird nests this morning?”. In my opinion, the best approach to win at this competition is to divide and conquer the area and to pick the expert as your teammate. This is especially true when you are following transects as part of a long-term study and the expert knows all the “hot spots” for nests! My happy place by the water. 6. Think about your happy place – Although you may be on a beautiful beach looking for glimpses of marine mammals, sometimes it helps to think of something more familiar. 7. Take a shower – Yes, even this simple task can make you feel refreshed and ready to take on the next day! 9. Chocolate – Need I say more? 10. Have a supportive field team – When you’re feeling under the weather, there is nothing worse than being away from home. Being surrounded by people who have your back in any situation will always go a long way. Even when the effort of fieldwork seems to outweigh the reward by several orders of magnitude (for example, imagine walking around for countless hours searching for signs of your study organism only to find out they don’t nest where you’ve been looking at all), remember that is worth it! Don’t worry because being a field biologist may just be the coolest job out there and there are lots of reasons to be happy! How do you stay positive in the field? This week on Dispatches from the Field, we welcome Sean Bogle, a videographer and Project Director of the documentary series Eyes on Conservation. Check out his bio at the end of the post and a link to the documentary he talks about in this post! When I was younger I wanted to be a cowboy, being from Texas. The thought of trotting across vast landscapes alone, surrounded by nature, with streaks of yellow and orange in the sky struck me as “the good life”. However, this dream became no more than a dried up hoof print when I learned that the life of a cowboy involves shoveling horse manure. Being a child, I quickly moved on to another dream. I gravitated towards the birth of video technology when my father purchased an early edition two part video system – one part being the video camera, and the other part being a condensed VCR with a strap. This interest was considerably less filthy than being a cowboy and I could be as creative as I wanted. Time went on, life went on, and now the two dreams have collided: I am now a wildlife researcher and filmmaker. I suppose my early goals were actually foreshadowing for my chosen career. Now I am lucky enough to be able to conduct wildlife conservation research while also documenting my efforts and the efforts of other conservation enthusiasts to share with the rest of the world. These are rare circumstances, but I have only focused on enjoying this combination. Even more rare than the opportunity to combine conservation and filmmaking is the subject of my current project: the vaquita porpoise. With less than 100 individuals remaining, the vaquita is the most endangered marine mammal on the planet. After having worked on many marine mammal research projects for the past 5 years (specifically pinnipeds, such as Steller sea lions, Northern elephant seals, Hawaiian monk seals, Northern fur seals), I had a personal interest in this issue, and I wanted to address it. I thought that since I have a talent for filmmaking, an interest in wildlife research and conservation, and the passion to make a difference, I had to make a film that would not only spread awareness of the vaquita’s plight, but would also document the dedication of those on the front lines of the fight to save this species. 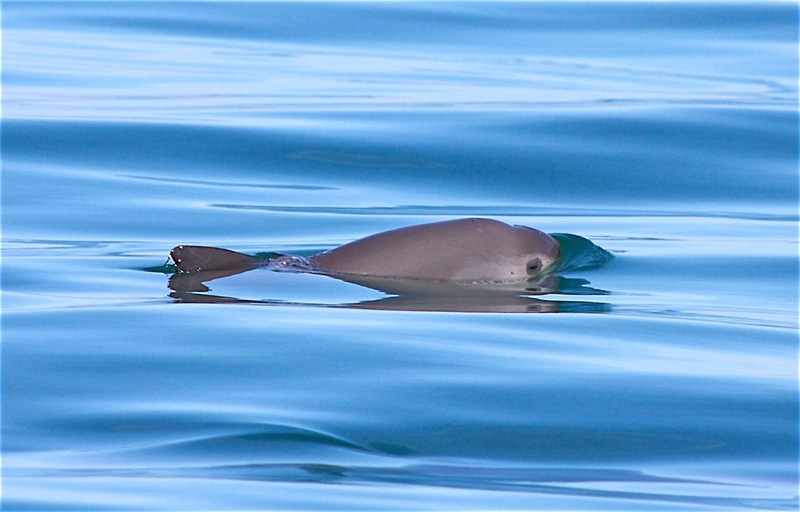 The subject of my current project: the vaquita porpoise. Photo credit: Tom Jefferson. 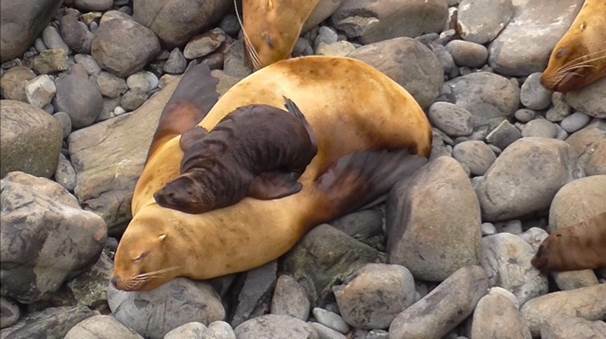 Female Steller sea lion with pup. Images were collected pursuant to NMFS Permit #14326. Since the middle of 2014, I have been investigating the issues facing the vaquita. I have learned what the major threats to the vaquita are, who is on the front lines of this issue, and what needs to be done to prevent the extinction of this unique species. The most direct threat contributing to the decline of the vaquita is the use of gillnets. Gillnets are commonly used to harvest an array of fish species from the Upper Gulf of California. Vaquita get entangled in these nets, which prevents them from surfacing for air and ultimately results in death by suffocation. The use of gillnets for fishing is driven partly by the demand in the US for blue shrimp, which is considered a delicacy, and the demand in China for the swim bladders of the endangered totoaba, which is thought have medicinal qualities and is a symbol of wealth. After about a year’s worth of developing relationships and making plans, it is now time to jump in and start helping: recently, we began filming for Souls of the Vermilion Sea, a Wild Lens documentary about the vaquita. Ideally, for a project of this magnitude, funding would be secured before moving forward, but in this case, waiting is not an option – the vaquita has very limited time. Current predictions suggest that this unique mammal will be extinct by the year 2018. Time is of the essence, and I believe we need to unify our efforts so we have the greatest impact in saving these creatures. 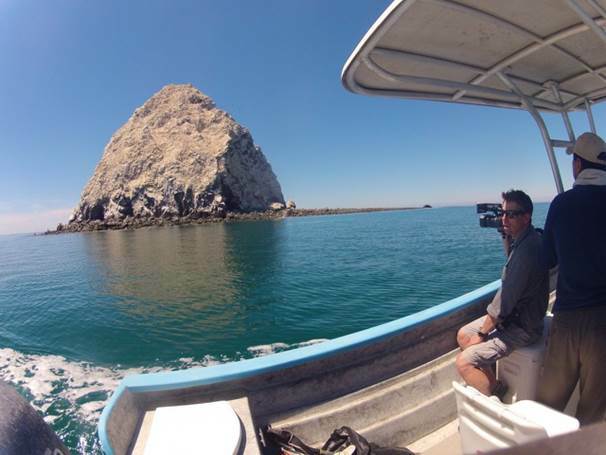 Filming Souls of the Vermilion Sea in the Sea of Cortez. It hasn’t been entirely smooth sailing getting to where I am now. To make a good film, I had to build strong relationships with those on the front lines of this story – and trust takes time to establish. However, working at these relationships paid off – these experts have been so generous with their knowledge and hospitality. I would have not made the progress that I have without their help, and I owe them all a great deal of gratitude. I also have depended greatly on the supporters of Wild Lens, this vaquita film project, and the protection for the vaquita. This support is crucial in creating change. It is refreshing to know that there are people out there that are dedicated to preserving the planet’s integrity by protecting its biodiversity. Filming in the field is in many ways very similar to working on a research project. Communication with others is important, so that efficiency can be maintained and protocols can be followed. Weather can be an unpredictable factor that influences productivity, so you need to adapt and be flexible and know how to use the time you do have. This particular issue has already arisen several times as I have been filming down in San Felipe, Mexico, where the vaquita story is unfolding. We recently had the remnants of a tropical storm brush the coast, which did not make for good filming weather! But in the end, the storm provided an opportunity to catch up on organizing gear and the footage that I have captured over the last 3 weeks. These are moments that are well embraced. Northern fur seal pup. Images were collected pursuant to NMFS Permit #14327. And of course, there is never enough time to do everything you want to. 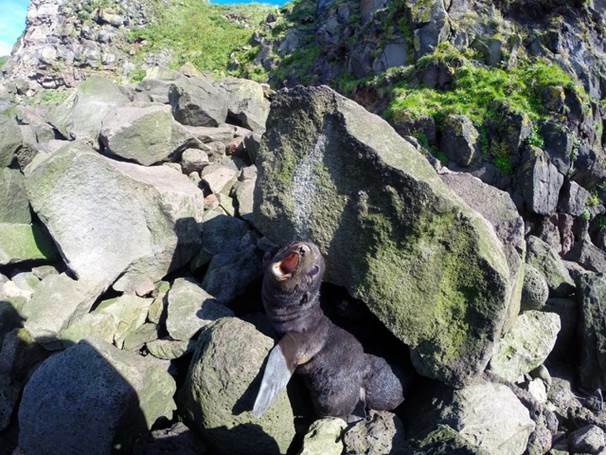 As I move forward with this film project, I am also mentally preparing for my next field season on the Pribilof Islands, where I am a long term assistant on a Northern fur seal project. In less than 3 weeks I will have to switch from flip flops, t-shirt and shorts, to Xtra-tuffs, thermals, and rain gear – which may be a tough shift! I sometimes have a panic moment, wondering whether I will be able to make the transition from filmmaker to scientist. But then I remember that these roles are not so different after all, and how lucky I am to have a chance to combine them! Sean Bogle has been a part of Wild Lens since 2011, when he first became involved as a videographer documenting the conservation efforts of the Maasai giraffe in Tanzania. Following this contribution, he became the Project Director of the documentary series Eyes on Conservation. He works closely with biologists in every stage of production to tell their story. Prior to his involvement with Wild Lens, he worked on the front lines of conservation conducting research studies on a spectrum of species from fish and small mammals to charismatic megafauna like pinnipeds. He is currently creating a documentary film, Souls of the Vermilion Sea, telling the story of the struggle to save the most endangered marine mammal on the planet. Check it out at http://wildlensinc.org/eoc-single/souls-of-the-vermilion-sea/ and visit their kickstarter page if you want to contribute! Most of you who have been camping before would understand and agree with me when I say that when you are living out in nature, every little task suddenly seems like a lot more work. 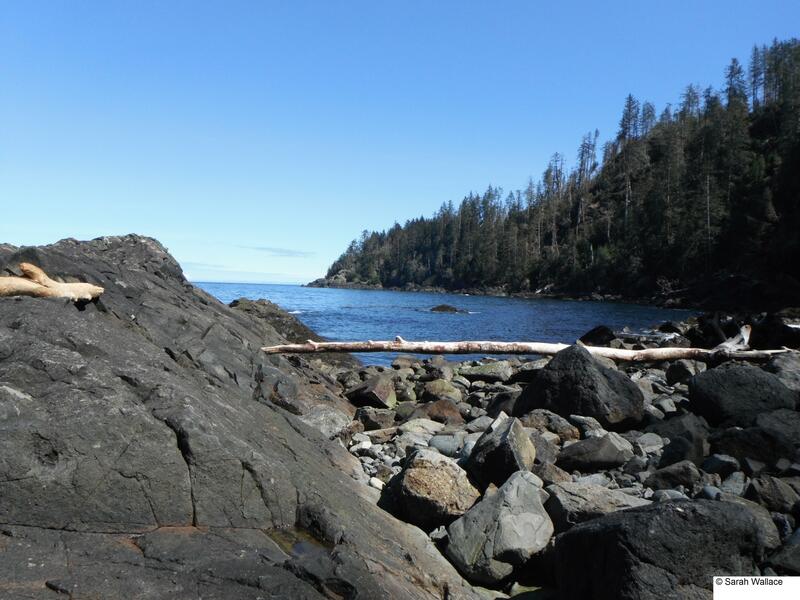 This includes, but is by no means limited to, getting dressed, making meals, cleaning up after meals, showering, and even having to use the “facilities” (which by the way consisted of a large boulder, a fallen tree trunk and the ocean). In addition to these regular activities, add running along slippery rocks, hiking up and down hills, climbing over and under fallen tree trunks and sticking your hand into cold holes in the ground where you may or may not find your burrowing study species. However, even on the unsuccessful days, one thing I could always count on was the best feeling of crawling into my bed at night. I was overly excited for my first night on Reef Island, Haida Gwaii, BC. How many people get the chance to camp on a remote island? As you can imagine, after a long first day of travelling to and exploring the island, I was grateful when it was finally time to crawl into my bed. I set up my one man tent and rolled out my thermarest. 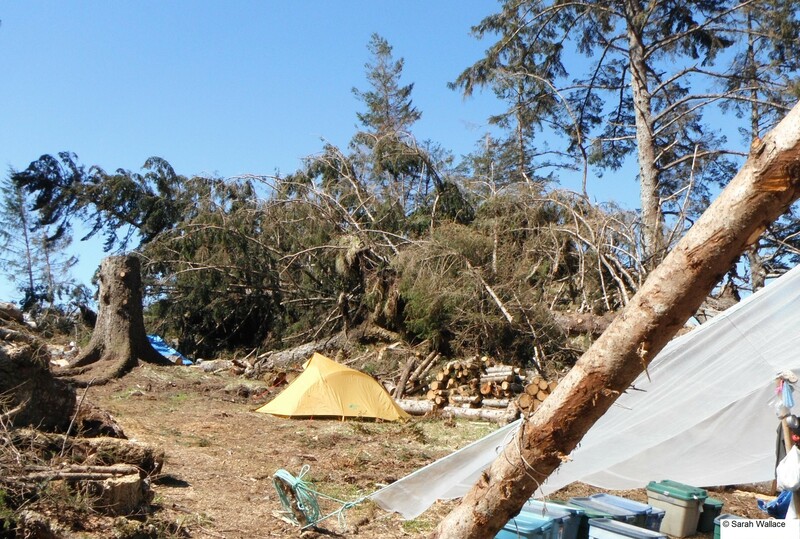 My one man tent on Reef Island, Haida Gwaii. Humpback whales gather along the reefs just off the coast of the island. Maybe I should have seen it coming. But when I couldn’t fall asleep immediately I was shocked. As is usual in the early spring in northern BC, it was fairly cold, so I put on all of my layers to go to sleep – which meant I did not have much room to move around. I could feel all the roots under my thermarest, but convinced myself it was just like having a constant massage. Just as I was falling asleep, I heard a group of humpback whales blow just off the coast, not even 300 m away from my little tent. At around 11:30pm the seabirds started to return to their burrows after spending a day at sea. Like myself, they must have been excited to return home, as they were very noisy projecting their call to find their mate and nest. The seabirds calls continued into the dark night with lots of “chaaar chaaar chaaar”’s. 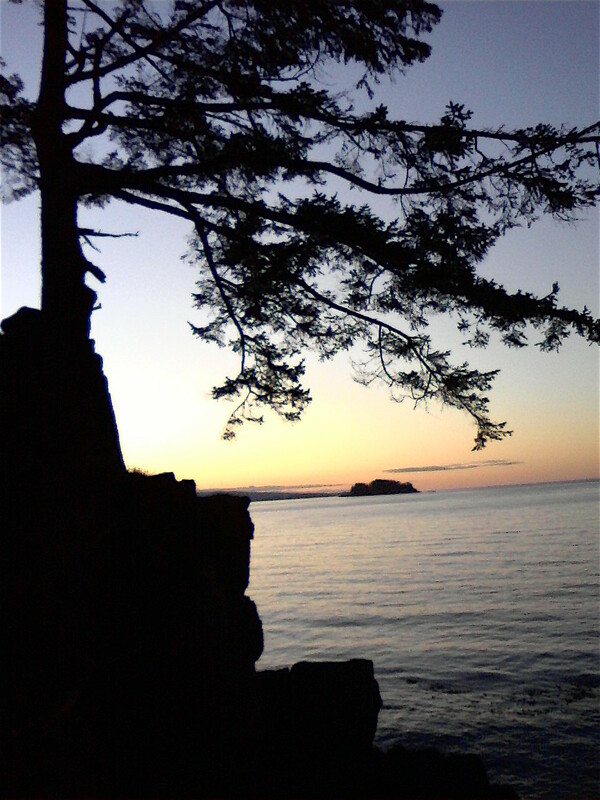 I must have fallen asleep around 3 am because the next thing I remember is the dawn chorus of the songbirds on the island as the sun rose. A tired selfie in the woods. I woke up still tired but it was new day and I was determined to make the most out of my experience. Although it was very tiring and stressful at times depending on how successful we were at finding occupied burrows, we couldn’t have asked for more beautiful weather to be traversing remote islands. At the end of the day, knowing I could count on my bed was actually very comforting, with the company of the wildlife chorus and all. The sense of wonder that nature gives you is the best feeling in the world. There is nothing better than a landscape that takes your breath away or seeing wildlife in its natural habitat. This is especially true when it’s a species you don’t get the chance to see very often. For example, I know we all know whales are massive. Some of us have seen a skeleton of a whale. But I don’t think you really get the sense of how magnificent a creature a whale is until you see it in the wild. I was fortunate enough to take a field course during my undergraduate degree called Marine Mammals and Seabirds that was based out of the Huntsman Marine Science Centre in St. Andrews, New Brunswick. 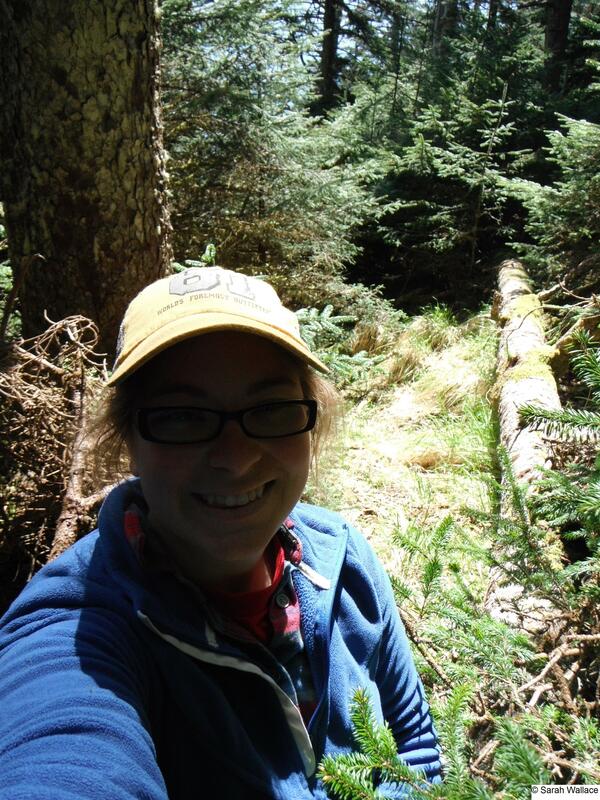 I was excited but nervous to go because besides a few classes that took us to nearby conservation areas or ones that took us up to the great Queen’s University Biological Station, I had never had experience in the field. But to no surprise, this was the course that made me realize that studying biology in the wild was far more fascinating than studying it inside a classroom. Being a typical undergraduate student, I signed up for this course because of the “marine mammals” part of it. 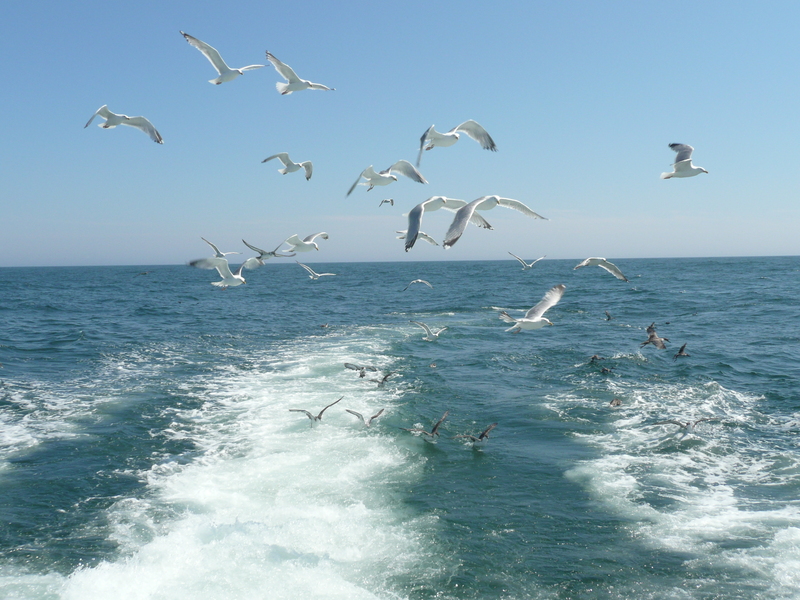 Sure if we saw birds on the way that would be cool, but I was really there to see the beasts of the sea. 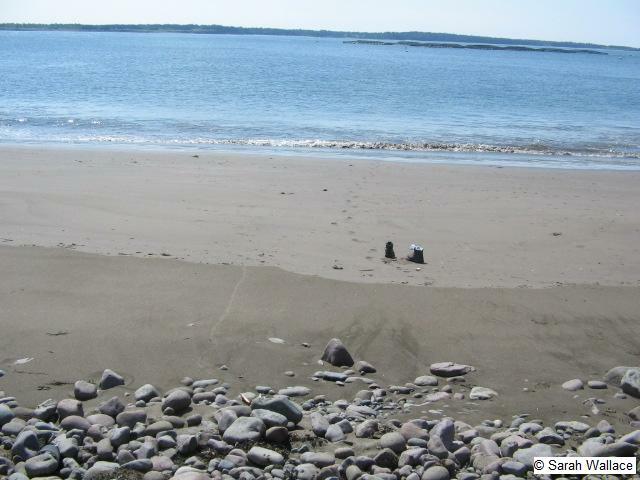 Field boots left on the sand on the Bay of Fundy. Looking out into the glistening blue water. Is that a fin or a wave!? Every other day we would go out a small fishing boat called the Fundy Spray into Passamaquoddy Bay, an inlet in the Bay of Fundy. Our first trip out was filled with a lot of staring out into the blue water, squinting in the sun, trying to make out if that glimpse of something was actually a living thing or if it was just a wave. The first couple of days we saw a lot of harbor seals hauled out on the rocks and a few harbor porpoises dancing in the waves. During a sea kayak paddle, we came up close and personal with some of these mammals. This was a whole different type of experience because instead of the loud noises of the boat (and besides the occasional swish of your paddle), you can really hear all that is around you. One exception was that we did not hear the gray seals that popped their heads up only about 3m away from our kayak curious about what we were doing in their waters! One day when we were out off the coast of Grand Manan, we were scribbling down bird species that we saw and counting the seals on the rocks. Business was as usual until one of the guides noticed massive black things in the water. We stopped moving and just stared with our mouths wide open. 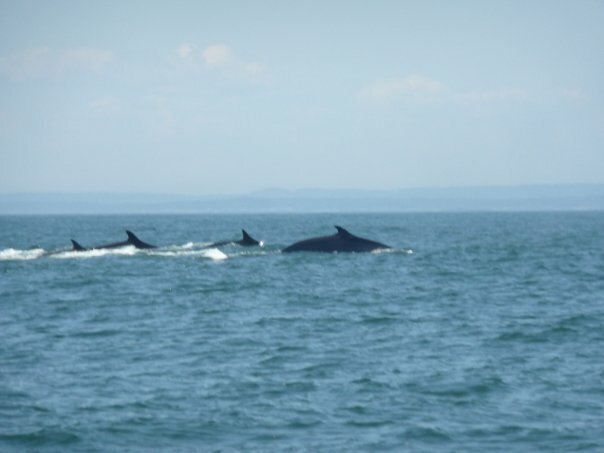 A group of fin whales come to the surface before their second dive. 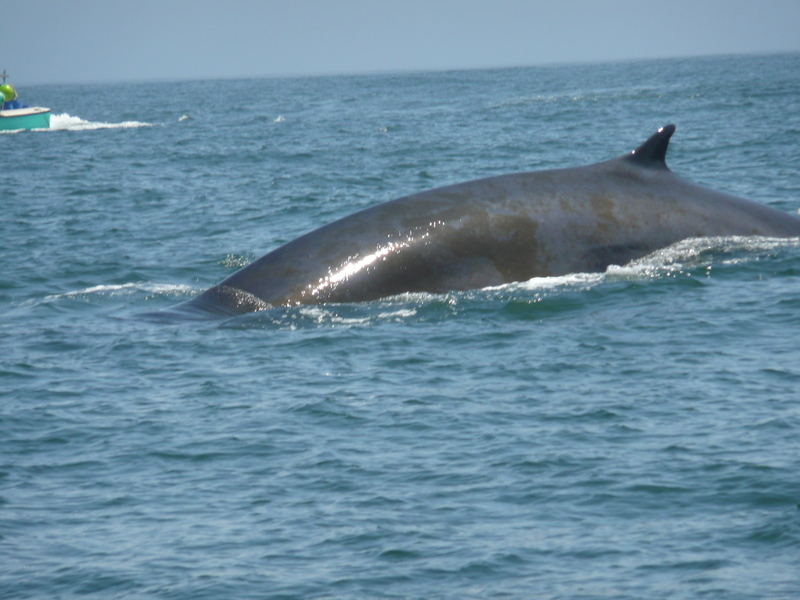 Six fin whales surfaced close to the boat and then they were gone again. 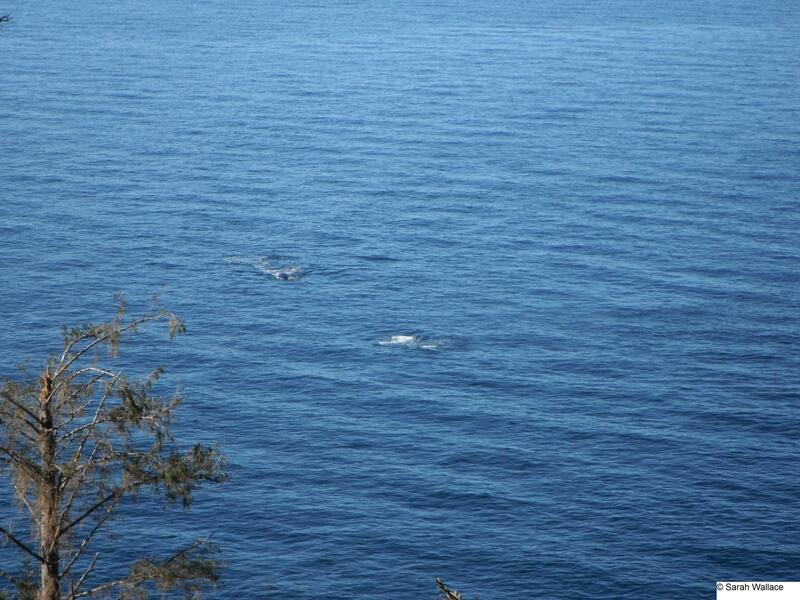 After about five minutes, when we thought to start counting the seabirds again, the fin whales resurfaced again. 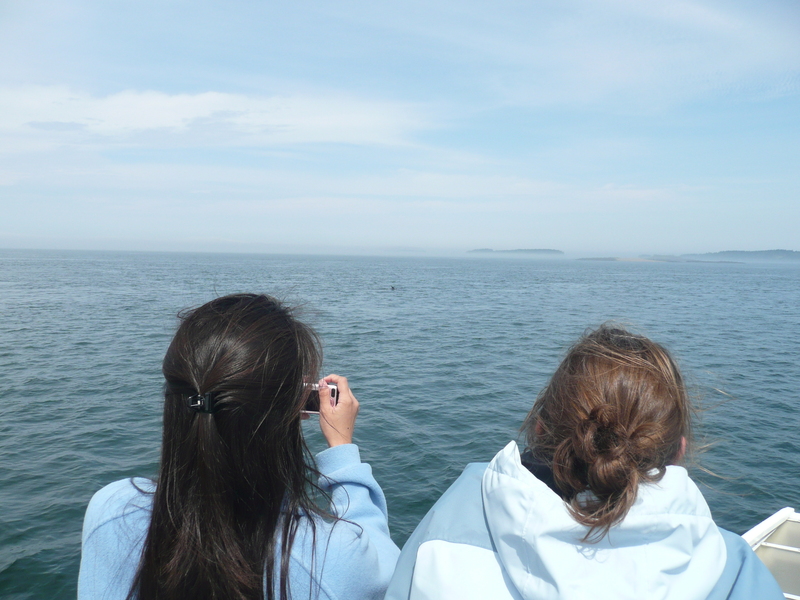 This time, six whales surfaced on one side of the boat and five on the other. These are massive whales – they are the second largest animal (second to the blue whale) and can dive to depths up to 470m. It is very hard to describe the sense of wonder when you see these beautiful creatures in their natural habitat. A fin whale surfaces next to the boat. But let’s not forget about the “seabirds” half of the course. After all, this was the course that got me interested to study seabirds for my graduate work! It was amazing to see the many species fly in and around the boat attracted to the lights in the fog. The best part was when we found a “big buffet” of herring. Porpoises gathered underneath the water pushing the school of herring up to the surface as seabirds dove from different heights to catch the herring. Herring gulls and black backed gulls populated the area, with terns swooping around and shearwaters skimming across the surface. Come one, come all – it’s a feeding frenzy! 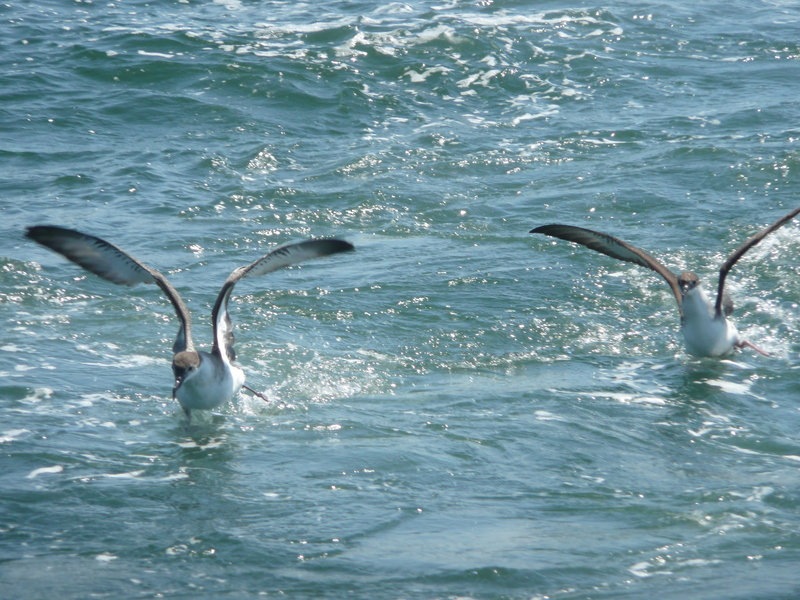 Shearwaters skim the surface in search of food. This field course was a truly amazing experience, one that led me to fall in love with the field. Just being on the water is a wondrous feeling, one which now I don’t think I can live without!